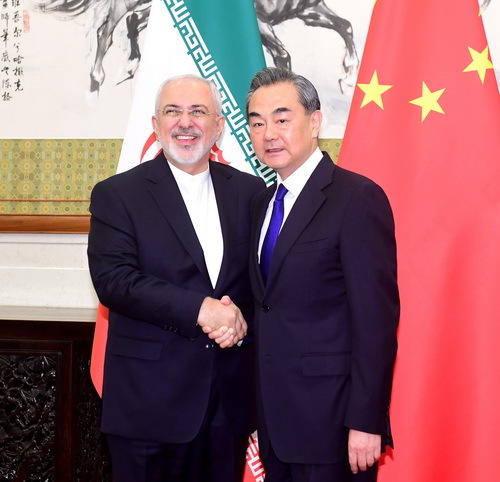 On May 13, 2018, State Councilor and Foreign Minister Wang Yi held talks with Foreign Minister Mohammad Javad Zarif of Iran in Beijing. Wang Yi expressed that China has always attached importance to China-Iran traditional friendship and comprehensive strategic partnership, and regarded Iran as an important partner of the joint construction of the “Belt and Road”. China stands ready to, together with Iran, comprehensively implement the important consensus reached by the two heads of state, and well safeguard and develop cooperation between the two countries in various fields. Wang Yi said that China firmly safeguards multilateralism and dedicates itself to maintaining international agreements. The Joint Comprehensive Plan of Action (JCPOA) on the Iranian nuclear issue is the result of multilateralism that does not come easily, and it is conducive to safeguarding international non-proliferation regime and the peace and stability in the Middle East. As an important party of the JCPOA, China has done a lot of work for its conclusion and implementation. In the next stage, China stands ready to, together with all parties concerned including Iran, maintain communication and coordination, and follow an objective, fair and responsible attitude, so as to continue making efforts to maintain the JCPOA. 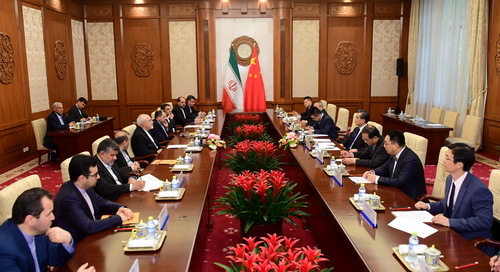 Mohammad Javad Zarif expressed that Iran attaches great importance to developing Iran-China traditional friendly relations, and is willing to, together with China, conduct cooperation in such fields as connectivity and infrastructure construction under the framework of the joint construction of the “Belt and Road”. Mohammad Javad Zarif highly appreciated China’s stance on maintaining the JCPOA, and stressed that Iran stands ready to continue communicating and coordinating with all parties who support the JCPOA. Iran believes that it is the shared responsibility and obligation of all parties to ensure the sustained, comprehensive and effective implementation of the JCPOA. Iran is willing to make its own efforts.